Over the past 18 months I've avoided paying retail price for gas by continuously earning and using Fuel Rewards savings. 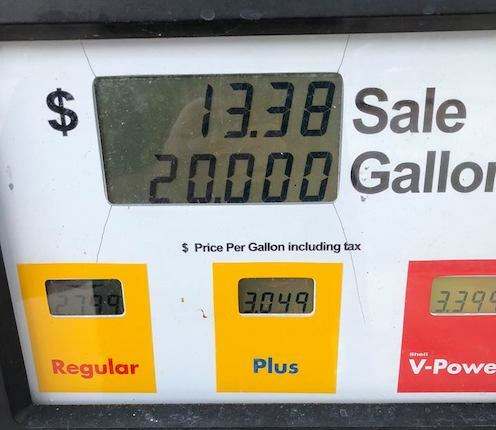 If you're unfamiliar with the Fuel Rewards program, it is a third-party program that allows you to earn cents-per-gallon discounts on gas at participating Shell branded stations nationwide, ensuring you never pay full price for gas again. 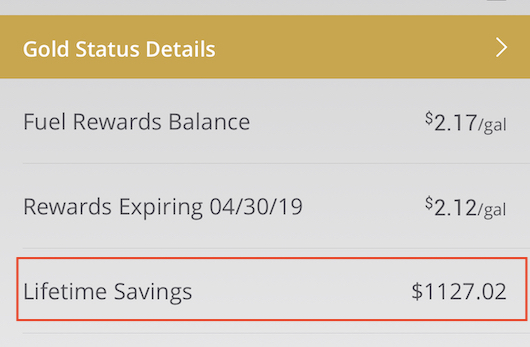 I've actually been so successful with the Fuel Rewards program that I just surpassed over $1,000 in lifetime savings, which the Fuel Rewards program mobile app conveniently tracks. The Fuel Rewards program has just launched the “Never Pay Full Price Again!” campaign which is offering new members instant Gold Status for six months after registration. Gold status earns you 5 cents/gallon savings on every fill-up, up to 20 gallons per fill-up. In order to maintain Gold Status after the first six months, you must complete six fill-ups of at least five gallons during the fourth, fifth, and sixth months of your membership. If you do not complete six fill-ups, you'll maintain Silver Status which gives you 3 cents/gallon savings on every fill-up. Card-Linked Offers — Link a credit or debit card to your Fuel Rewards program account and shop at participating merchants to earn additional savings—typically 5-10 cents/gallon for every $50 spent. Your card-linked offers stack with online shopping, dining, and travel offers as the Fuel Rewards program recognizes whenever your linked card is used at a participating merchants. Online Shopping — The Fuel Rewards program online shopping portal has hundreds of merchants for almost anything you need to buy. Shop through the portal and earn as much as 40 cents/gallon in savings from shopping through hundreds of online retailers. Dining — Earn 10 cents/gallon savings for every $50 you spend at participating restaurants. Find participating local restaurants in the Fuel Rewards program mobile app. 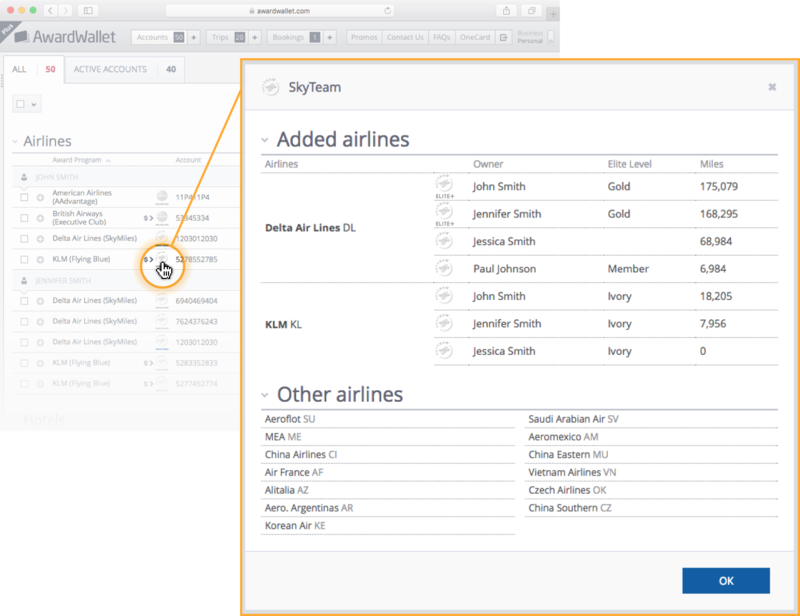 Travel — Book flights, hotels and travel packages through the Fuel Rewards program travel engine, powered by Priceline, and you'll earn 5 cents/gallon savings for every $50 you spend. Featured Offers —From time to time the Fuel Rewards program offers a large amount of savings through a specific partner. I've taken advantage of the Winc wine offer to earn $1 in savings/gallon after trialing Winc's wine mailing service. Refer-a-Friend — Use your unique invite link to have friends and family sign up for the program. After your friend uses their Fuel Rewards program card to fill up for the first time at a participating Shell station, you'll earn 25 cents/gallon savings for your next fill-up. There is no limit to the number of friends and family who can use your link. Shop at Shell — The final way I earn savings is by keeping an eye on the Shell specific offers in my Fuel Rewards mobile app. From time to time there are deals too good to be true by offering you 5-10 cents/gallon savings for buying a single snack or drink product in a participating Shell station convenience store. A few things to keep in mind when you head to the pump: I always carry my physical Fuel Rewards card as, depending on the type of pump you are going to use, the ALT ID, not often, but sometimes does not work and I need to have my physical card to swipe at the pump. The easiest way to avoid this is by paying for gas with your linked credit card which you have selected as using your savings. As soon as you swipe that credit card, the pump will offer you the chance to use your Fuel Rewards savings. Here's how you could save big on your next fill-up: register for the program and receive instant Gold Status (5 cents/gallon), refer a friend or family member (25 cents/gallon), go to a $50 dinner at a participating restaurant (10 cents/gallon), and make your next Home Depot purchase online (5 cents/gallon). You'd quickly earn 45 cents/gallon savings for your next fill-up of up to 20 gallons. After linking a card and making a few clicks—and without spending anything extra than you typically would—you'll save $9 on your next fill-up. The Fuel Rewards program is free to utilize and typically takes me under five minutes of effort in order to cultivate noticeable savings at the pump. Make sure you use the Fuel Rewards program mobile app to find all dining, shopping, and Shell participating locations so you can maximize your daily spending and accrue Fuel Rewards savings. Sign up today to earn instant Gold Status and 5 cents/gallon on every fill-up over the next six months. … especially when the overall living expenses are just getting higher than ever. Wish there was a Shell station near me. I didn’t realize the savings could be this big. I should really stop procrastinating and start using this program. Thanks for the tips Richard! I always forget about the additional ways to earn Fuel Rewards other than gas. Great reminder! It’s a good program but I wish it was available across more stations other than Shell. There just aren’t many Shell stations in our area. Does anyone know of any other similar programs through other gas stations? So I’m a bit confused. I got an email a while back saying that this program had been discontinued, but my card continue to work. Did they stop it or plan to stop it and then change their mind just curious. Ive never seen anything about Fuel Rewards stopping – it’s here to stay. I linked my Fuel Rewards account to my Chase Pay app – Shell is a CP retailer. That way I don’t need another physical card to pay either Shell or Chase. 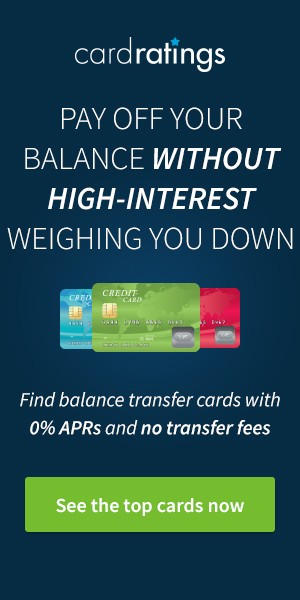 When Chase offers Ultimate Rewards bonuses by using Chase Pay, I then earn .05+ along with URs & already have the respective bonus cc in my CP wallet for easy access. Looks easy to use. Thanks for sharing. Is there a program that will do cash back instead of a gas price reduction for gas stations (something like dosh)? Glad to see Shell up their game! Wait. So this is only for discounts on Shell gasoline? Shell is very pricey to begin with in my area. Great analysis. I have seen this program a few places before but I wasn’t really sure how it worked or if it was valuable or worth it. This helps one understand it better. If prices are not higher than alternative gas stations than this sounds like something worth participating in. Thank you. Have to see if Shell stations are around me, then maybe I’ll hook up with the program. Good move by Shell who I felt have always been previously generally shrewd on the incentives. I’m going to check this program out. I am going to have to reconsider this program. I do have a Shell station near my house and I have a credit card that I am going to use exclusively for gasoline. As long as it would cause Shell to be cheaper than my alternate options, it would be worthwhile. Thanks for sharing this useful information. I guess the savings can and do add up. So in order to keep Gold status, do you have to do 6 fill ups for EACH of the 4th, 5th, 6th month requirement, or over the period of those 3 months? Thanks. Signed up, now to use the program. Ooh, now this is useful. Thanks for posting! Too bad we don’t have a Shell in my city! I registered for the program and got instant Gold status! Thanks for the useful tip! T-mobile Tuesday has 10cents/gallon off at Shell quite often. AAA membership also gives you 5 cents bonus. I keep forgetting to use it. I prefer to use my Kroger fuel points! But thanks for the info. I still think Costco Gas is a better deal. I think it is important to remember the opportunity cost. 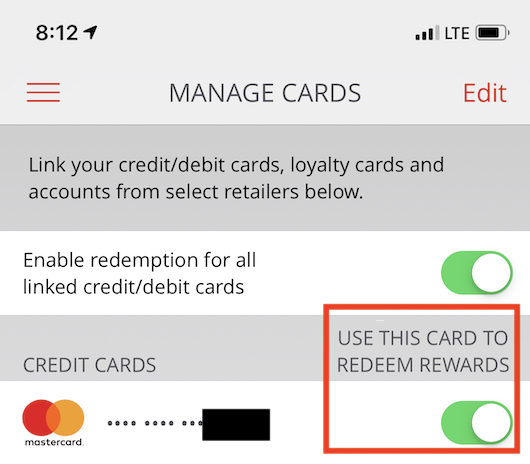 Sure, you can use the Fuel Rewards shopping portal, but then you are forgoing other rewards programs you could use instead. Sounds like a pretty good program, ill have to check it out. Thanks OP! Will help me keep in budget! Does the program apply to shell Canada as well? Thanks for sharing! Lots of Shells nearby. Some credit cards are better but this is pretty nice since you really just go about your day normally! I love using my FR card.Thanks! I always see this option at the pump but didn’t know much about it till now. Thanks for the great review. Downloaded the app, pulled into a station, app said it couldn’t find a station nearby. Still needed gas, but for now I’m not a believer. Don’t forget, you can always enter your ALT ID at the pump to activate your savings. I combine this with the gas buddy app to see if there are actual savings as sometimes Shell stations are much more expensive. FYI, the ALT ID option if you don’t carry the car is typically the phone number registered to your account. I like this. This will be awesome on trips. Does my husband have to have his own or is he better off logging into an account I set up? Maybe not a bad program. However, the Shell stations in my area are ALWAYS $0.20-$0.30 cents higher than the average at the other gas stations so that 0.05 cent savings doesn’t help when filling up there… The other service stations also use Toptierfuel so that quality is identical between stations. 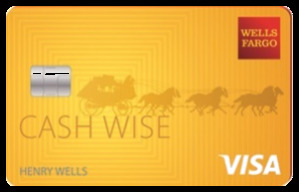 Shell and Chase partnered to offer all chase freedom card members instant fuel reward gold status until the end of 2019. This offer is good for new and current members, all you have to do is to activate the offer in their promo page. This status is valid for anyone registered with an address outside the US? Can you go back to Gold Status if lose it 6 month into the program? What would you need to do. Very good tip! I didn´t know about the instant gold status! I’ve been using this program and like it. T-Mobile users have been recently giving an extra 10c/gallon as a Tuesday thank you code. Been using this for awhile, and now that T-mobile Tuesdays offer 10c I try to always get gas now on the weekdays for the 15c max savings. Great info and way to save. Have to have the Shell Gas locally otherwise it doesn’t make much sense.